When we found out I was pregnant with number 4, do you know what my husband’s reaction was? Really? The bloody car? That is our biggest problem? Never mind that I’ll spend weeks throwing up, which will ease off just around the time the SPD kicks in. Then I’ll spend month hobbling around like someone has taken a hacksaw to my pelvis, while I gradually look more and more like a landed whale. All culminating in the inevitable hospital stays to manage preeclampsia, with the grand finale being induction of labour and squeezing yet another tiny human out of my lady parts while the medical staff refuse to believe I’m in labour. Yes, the bloody car is obviously our biggest bloody problem. He wasn’t entirely wrong. When you go from being a family of 5 to a family of 6, you can never drive a “normal” car again. Even keeping my admittedly huge car of 5 seats to drive when my husband was not with us was apparently out of the question. I spent 2 hours in the car park of Mothercare while a member of their expert fitting team paraded out every combination of child seat that they sold, only to finally proclaim that there was no safe and legal solution to getting 3 child seats in a row in the car. Our search criteria for a vehicle was further narrowed by the fact that the only way we can holiday is by going away in a touring caravan. As our younger son has autism, taking a slice of home away with us is the only way we can give him the security, familiarity and confidence to enjoy being away. So not only did the car need to seat all 6 of us, (3 of which need obscenely large car seats), but it also had to weigh as much as a small house in order to satisfy some weight ratio towing criteria in order to “stay safe” and “avoid breaking the law”. And boot space! Something that you need more than ever with 4 children. We would need enough space for a double Pram and a carry cot and a buggy board and a travel potty and the school bags and everyone’s coats and the changing bag and the kitchen sink. But for some reason, 7 seater cars seem to have less boot space, not more. After months and months of searching, research and deliberating, we finally bought our perfect car. Then we realised it was all wrong and basically a crappy over priced van and traded it in for another one. The car we have now is great. Sure, packing it is like a complex game of Jenga that must be played in exactly the same way every time. And yes, if anyone other than me does it nothing fits and we can’t shut the boot. So yes, when you go from a family with 3 children to a family of 4, cars can be a bit of an issue. I was gutted when Olivia’s pram wouldn’t fit into my little battle but looking back even if it did a three door car wouldn’t be practical. Stacey – Just tried to subscribe to your blog by clicking your profile pic from your comment and it says you deleted it? Do you have a link to where it is now please? We’re searching for the perfect car for two! We now have two grandchildren and my husband has long legs so space in the back and a big boot are essential. What did you buy in the end? We bought an Audi Q7 in the end. I’m really pleased with it. The seats in the boot can fold away, making a really specious boot. 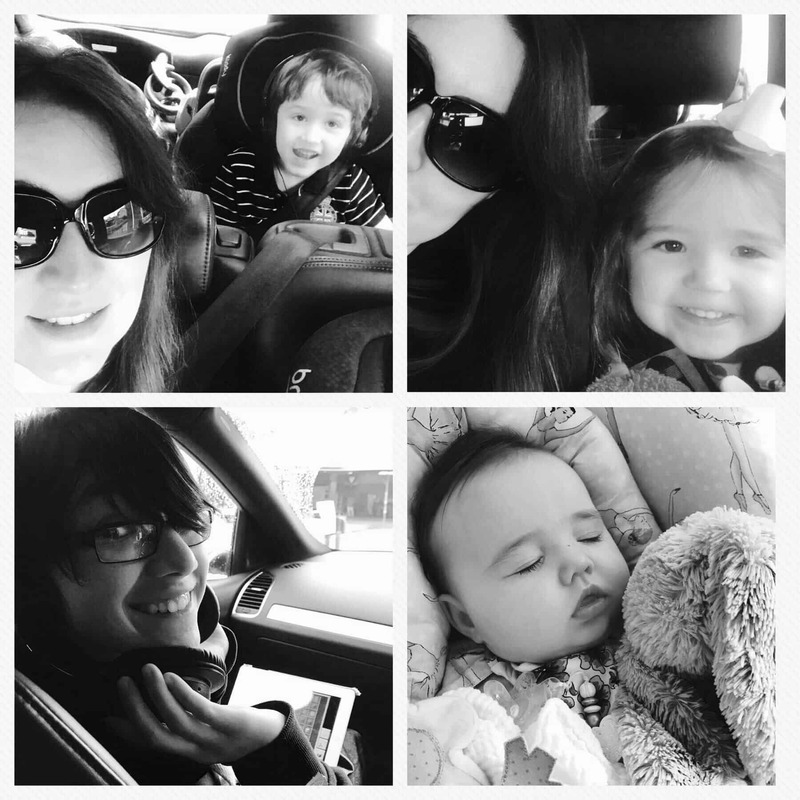 I end up doing long journeys in it in the back seat between the girls and I find it quite comfortable. I’d certainly recommend having a look at one. My husband has actually just bought a Zafira as a second car, so that we at least have the option to take the children in opposite directions to school / swimming / the doctors if necessary. I haven’t tried putting the Pram in yet 🙈 We didn’t buy one initially as our main car as apparently its not heavy enough to tow the caravan? I have taken my husband’s word for this. We ended up having to give up my gorgeous Fiat 500 which I loved to pieces as we couldn’t fit 2 car seats in the back!